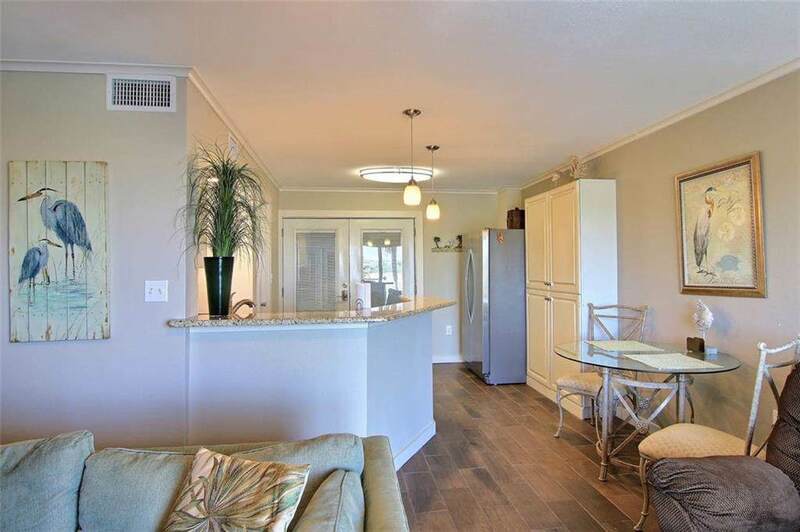 This coastal condo was gutted and remodeled by flipping the kitchen with the bedroom, then adding a bedroom and changing the atrium to indoor sitting room with water view! 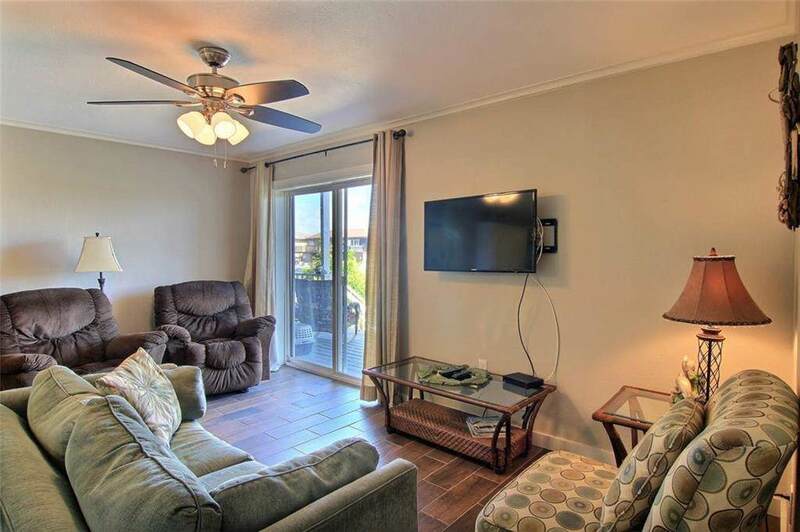 Now a fully furnished two bedroom with wood-like tile floors and coastal furnishings and decor, this condo also has an outdoor balcony, steps from the marina. Sign up for a HOA assigned boat slip. Located in Building B this one level condo is accessible by an elevator from its covered garage parking spot. Complex amenities include heated indoor pool and an outdoor pool. 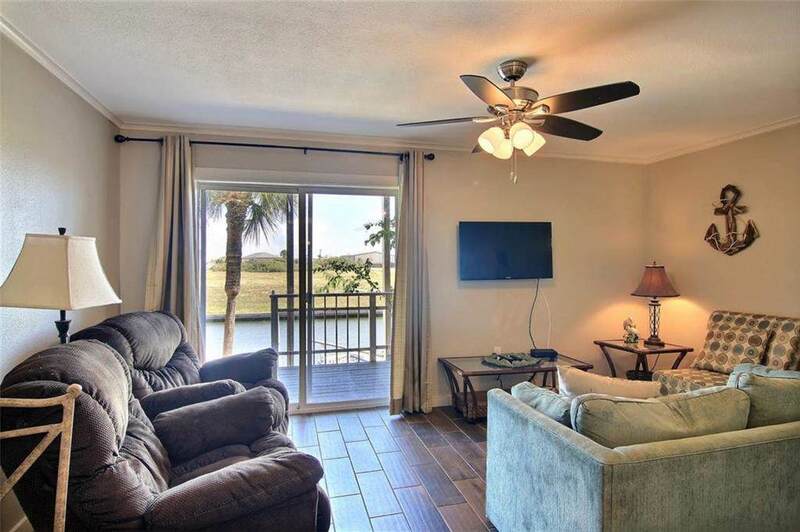 Complex provides basic cable, water, library with free wifi, party room at the Marina, fishing pier with fish cleaning station, picnic and barbecue areas. 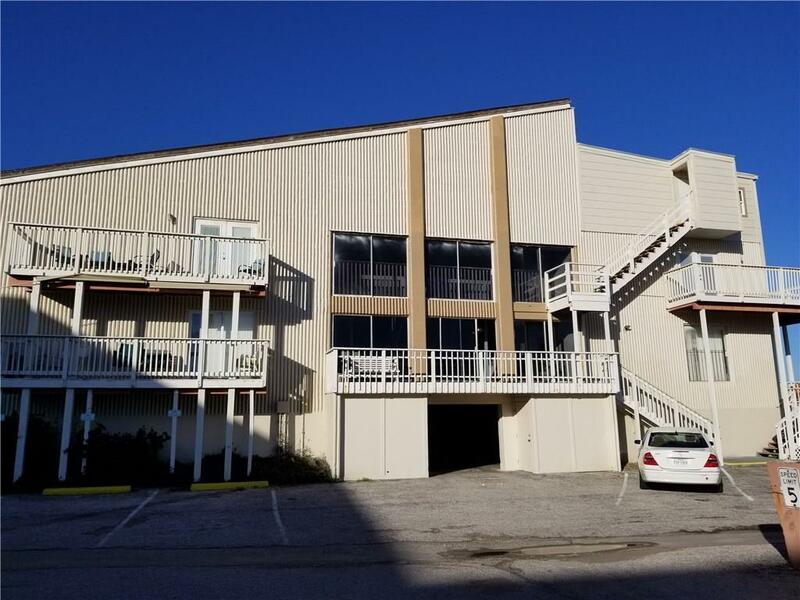 Garage covered parking for this condo, laundry facility, fitness center and conference room. Services include onsite groundskeeper, maintenance staff, security guard, pest control and weekly landscaping. Less than half mile to Schlitterbahn water park and Gulf of Mexico beaches and Packery Channel.